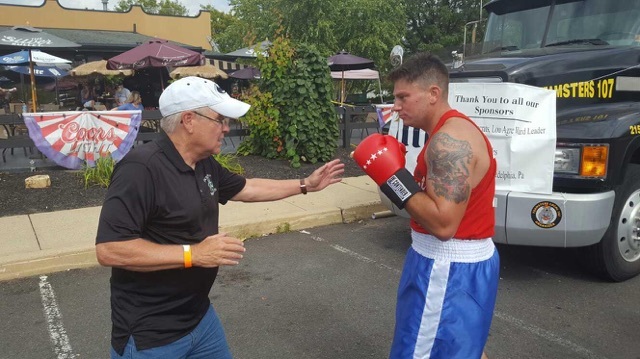 Union Services Access enjoyed an afternoon sponsoring A Lift For A Vet Fight Night on Saturday, September 17, 2016 at Katie O’Donnell’s Irish pub in Northeast Philadelphia. A Lift For A Vet is a charitable effort by Local 5 of the International Union of Elevator Constructors (IUEC), with the mission to buy and install elevators, home lifts, stair lifts, or wheelchair lifts in the homes of disabled U.S. military service veterans from any era. Accessibility modifications can be vital to a disabled veteran being able to stay in their own home and enjoy the best quality of life possible. To learn more about Lift For A Vet, or to donate, click here.